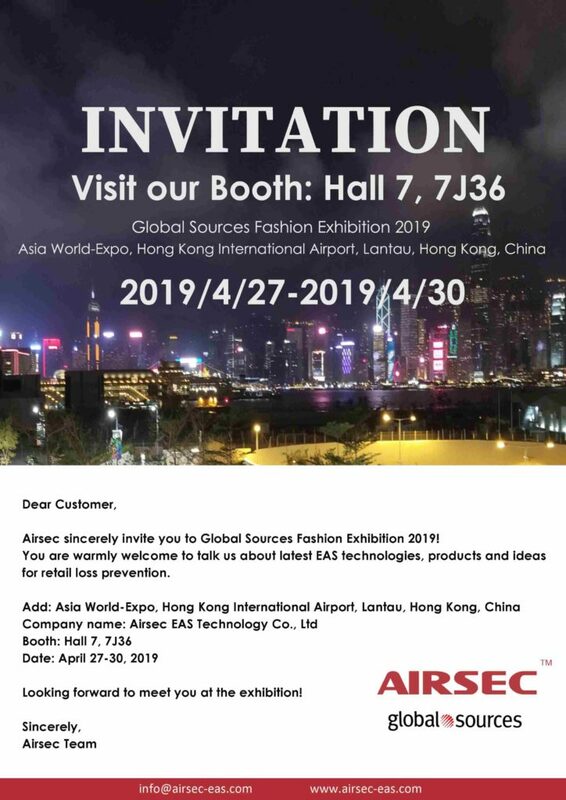 Airsec sincerely invite you to Global Sources Fashion Exhibition 2019! You are warmly welcome to talk us about latest EAS technologies, products and ideas for retail loss prevention. Looking forward to meet you at the exhibition!